Too often, addiction and homelessness walk hand in hand, but luckily, you can get help for both of these issues when you find the right facility. A homelessness and addiction rehab and recovery center can help you get back on your feet while beating your addiction. If you are struggling with both homelessness and addiction, you deserve to get help from the best treatment facility. Not everyone suffers from a substance addiction prior to experiencing homelessness, though; many people turn to drugs and alcohol in order to cope with homelessness, which often leads to addiction, and further exacerbates the situation. Without the right treatment for addiction, it may be rather difficult to escape the cycle of homelessness and addiction. If you are homeless and struggling with an addiction, it is time to get the help you deserve. Whether your addiction caused your homelessness or developed in response to it, you can get the help you need from a homelessness and addiction recovery program. When you contact us at 1-888-319-2606 Who Answers? , we will help you find the best homelessness and addiction rehab facility for your needs. Several homelessness and addiction treatment centers can be found around the country; however, it is important to note that each facility may offer slightly different amenities and a slightly different approach to treatment. The facility that works best for one individual may not be the one that works best for another. When looking for the ideal facility, you need to focus on finding the one that best matches your individual needs. Ideally, you should find a facility that can adeptly address all your needs, and not just your addiction issues. 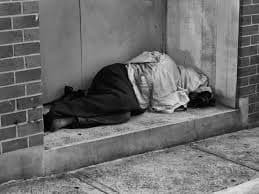 As mentioned above, many homeless people suffering from a substance addiction also suffer from a co-occurring mental health disorder. It’s important that the recovery program specializes in dual diagnosis if this is the case. Dual diagnosis facilities have programs that are specifically designed to treat co-occurring disorders. They provide addiction recovery counseling in addition to mental health services and life skills training. The staff members should have experience working with the unique issues that are faced by the homeless population, but they should also have experience treating any other disorders you may have. For instance, if you struggle with a mental health disorder or have experienced something traumatic in the past, the facility you choose should be able to diagnose, understand, and treat the issue as necessary. Aid in rejoining the community. One of the most important things you will do when staying at a homelessness and addiction treatment facility is attend therapy meetings. There are many different approaches to therapy, and you should look closely at which type a particular facility offers before you decide to stay there. The right therapy will be key to your successful recovery. “One of the most important things you will do when staying at a homelessness and addiction treatment facility is attend therapy meetings.”In many cases, facilities feature a cognitive-behavioral approach to therapy, which will examine the relationship between your thoughts, feelings, and behaviors and can help you learn to make positive decisions without turning to drugs and alcohol. Through your therapy, you can develop healthy strategies to cope with stress or boredom that don’t involve drugs or alcohol. You may want to augment that type of therapy with another approach, depending on your beliefs and independent needs. If you feel you need the help of a higher power to guide you through this process, for instance, you may want to find a facility that can offer you faith-based counseling or a 12-step approach to therapy. These programs provide you with a supportive and encouraging environment in which people share and listen to one another’s experiences associated with addiction and homelessness. 12-step programs typically have a sponsorship program in which you choose a sponsor that you trust and confide in. Programs may also offer medications for addiction and mental health conditions. Common medications prescribed for addictions to opioids (heroin, morphine, hydrocodone) include methadone, buprenorphine, and naltrexone (which is also used for alcoholism). Medications for alcohol include disulfiram (Antabuse) and acamprosate (Campral). These drugs can help with withdrawal and cravings and help prevent people from relapsing. Medications for mental health disorders often include antidepressants, anti-anxiety drugs, and antipsychotics. A doctor or healthcare professional will assess you when you first enter the homeless recovery program to see if any of these drugs could be beneficial for your treatment. If you are interested in a homeless recovery program but are worried about covering the cost of treatment, you have a couple of options. You can apply for public insurance such as Medicare, Medicaid, or your state health insurance exchange (Obamacare). These programs will cover some or all of the cost of substance abuse treatment. If you’re not eligible for these programs, you can apply for a scholarship to cover the cost of your treatment. Many rehab centers offer these to people who have a hard time affording treatment. You can search for these in your area. You can also search for free and low-income recovery programs through the Substance Abuse and Mental Health Services Administration’s Behavioral Health Treatment Services Locator. Search by city, state, or zip code to find programs in your area that serve low-income and homeless populations. If you are or someone you love is homeless and struggling with an addiction to drugs or alcohol, help is available. When you call us at 1-888-319-2606 Who Answers? , we will help you find the best homelessness and addiction recovery facility for you.
. Substance Abuse and Mental Health Services Administration. (2017). Homelessness and Housing.